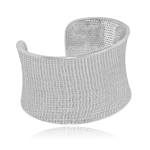 This unique 14k two tone gold designer link elegant bracelet measures 10 mmm wide by 7.5 inches long and weighs approximately 12.0 grams. This unique 14k two tone gold women's fancy necklace measures 7 mmm wide by 17 inches long and weighs approximately 9.5 grams. This unique 14k gold designer circle links women's necklace measures 10 mmm wide by 17 inches long and weighs approximately 9.0 grams. 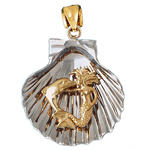 This 14k two tone gold mermaid & dolphin in a seashell pendant features a hollow back, it measures about 38 mm in width by 38 mm in height and weighs approximately 25.3 grams; it makes a remarkable addition to any fine necklace. This unique 14k gold 2.5mm solid rope chain measures 2.5 mm in width and weighs approximately 8.7 grams. 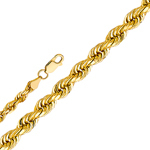 This unique 14k gold 3mm solid rope chain measures 3 mm in width and weighs approximately 14.4 grams.